A look at the Midwest Region of the NCAA Tournament, which resumes Thursday and ends with the championship game April 8 in Minneapolis. 1. North Carolina (27-6). 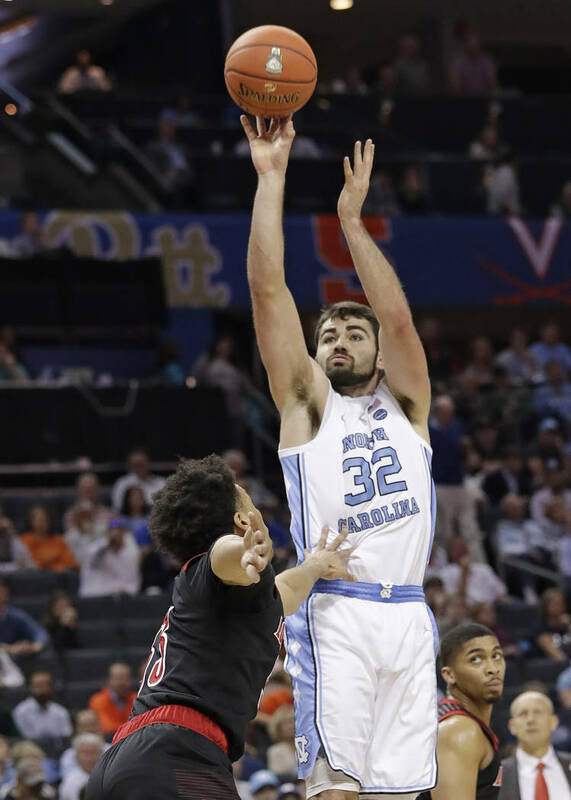 Luke Maye leads a group of seniors eager to atone for an early exit last season. 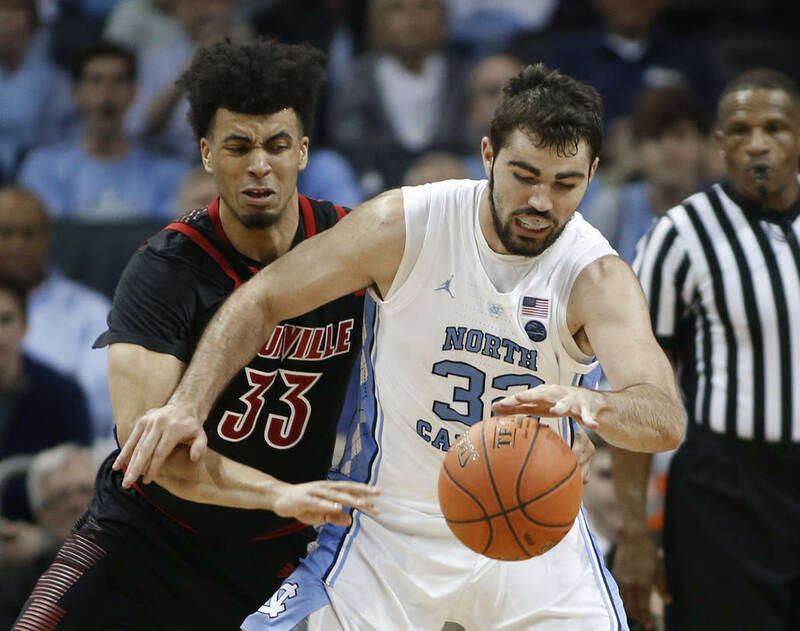 The Tar Heels are at their best when they are turning turnovers into points. 2. Kentucky (27-6). 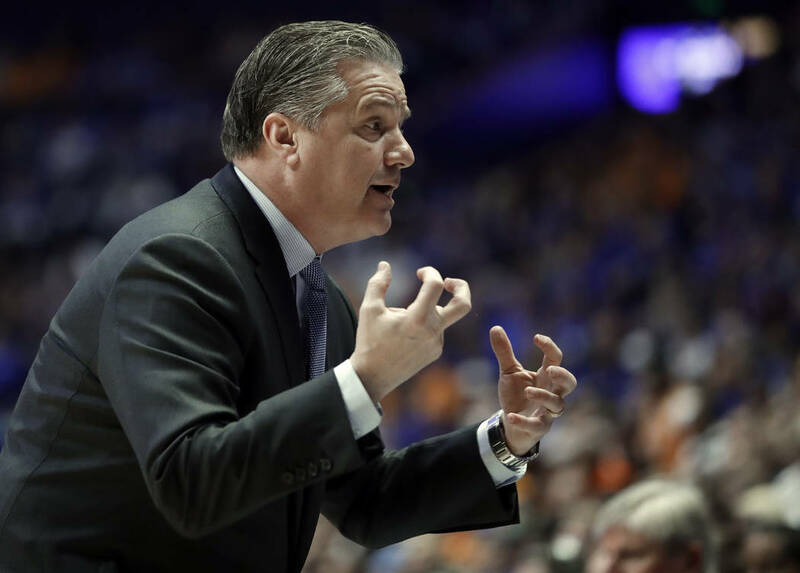 This has been a masterful coaching job by John Calipari, who turned things around after a blowout loss to Duke to start the season and an early-season stumble against Seton Hall. The Wildcats missed out on a No. 1 seed when they blew a lead and lost to Tennessee in the Southeastern Conference quarterfinals. One potential issue: Leading scorer and rebounder PJ Washington, who starred at Findlay Prep, has been wearing a walking boot since Sunday. The team says it’s precautionary. 3. Houston (31-3). The Cougars were even better this season after losing Rob Gray, the American Athletic Conference’s all-time leading scorer, from last season’s tournament team. Kelvin Sampson’s team did it with a defense that ranks among the national leaders. 4. 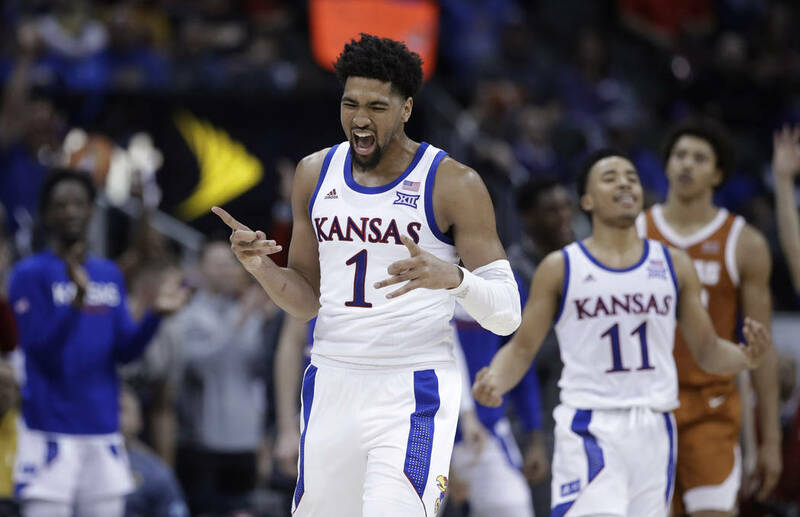 Kansas (25-9). The Jayhawks saw their streak of 14 straight Big 12 titles end largely because they struggled to win on the road. While so much seemed to go wrong for the Jayhawks, they still managed to land a No. 4 seed. 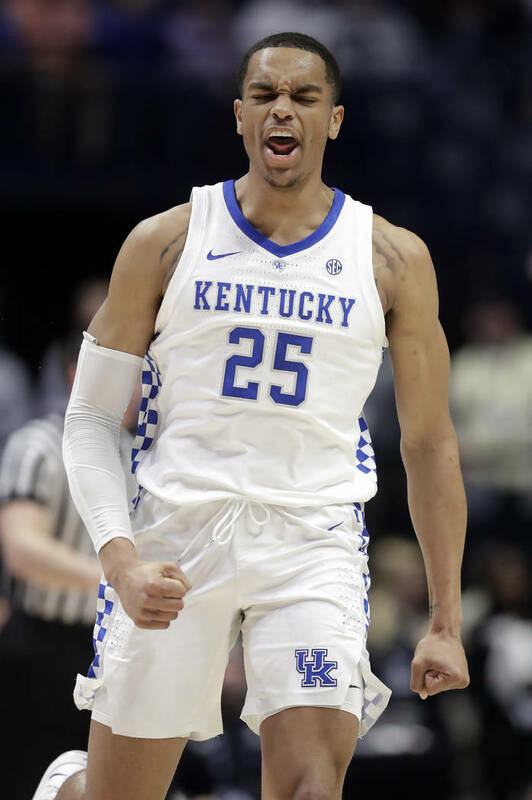 They rely a lot on Memphis transfer Dedric Lawson, who is capable of carrying them to a win or two. 5. Auburn (26-9). Coach Bruce Pearl’s team never has met a 3-pointer it didn’t like, a trait that has made the Tigers dangerous but inconsistent. The shots were falling last week when they won the SEC Tournament. 6. Iowa State (23-11). Coach Steve Prohm’s team can score with anyone, and guard Marial Shayok gives them a go-to player. 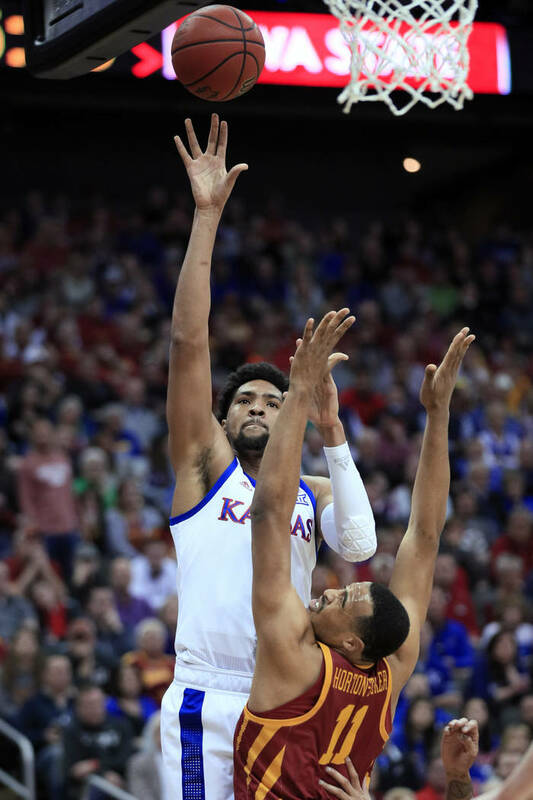 Defensive inconsistency led to late-season struggles, but the Cyclones won the Big 12 Tournament and could make a long run. 7. Wofford (29-4). Fletcher Magee, Fletcher Magee, Fletcher Magee. He will be a household name by the weekend. The senior guard should become the all-time NCAA leader in 3-pointers made in the Terriers’ first game. 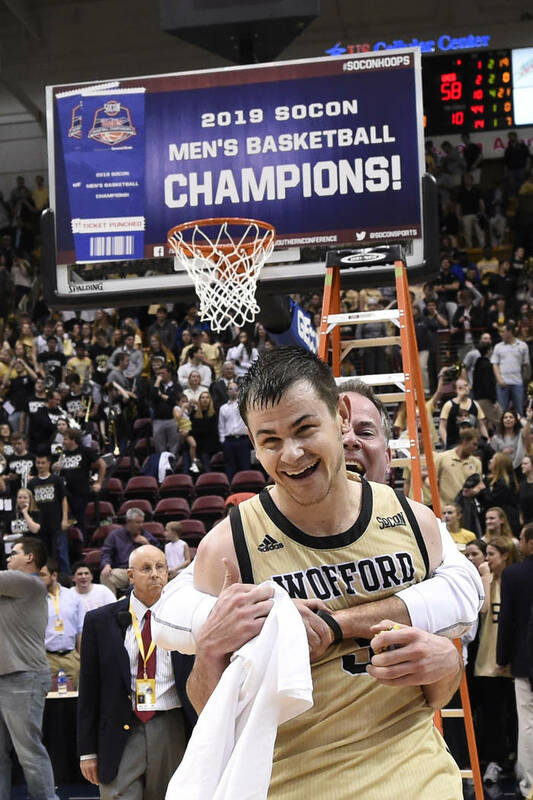 The beauty of Wofford, however, is how well coach Mike Young uses Magee’s shooting acumen and ability to move without the ball within the concept of a tremendous offensive system. 8. Utah State (28-6). Sam Merrill was a known commodity in the Mountain West entering the season. Neemias Queta was not. The freshman center from Portugal is a force on both ends, but is particularly valuable as a defensive presence in the paint. Craig Smith did a phenomenal job in his first season as coach, but he probably won’t be there for long. 9. Washington (26-8). Huskies coach Mike Hopkins brought the famed Syracuse zone defense to the Pacific Northwest and used it to help win the Pac-12 regular-season title. Washington clinched the championship fairly early and has struggled somewhat since. Its offensive woes are a huge concern. 10. Seton Hall (20-13). 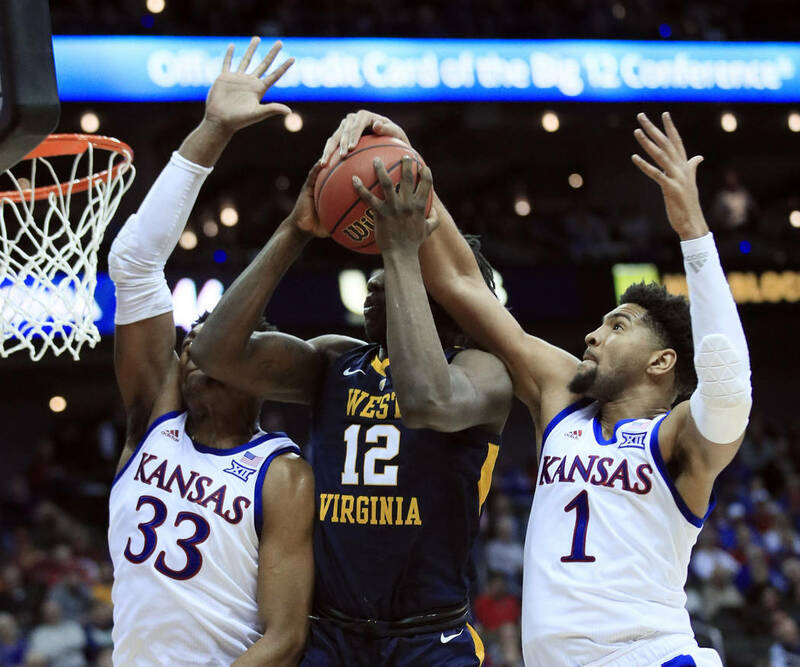 The Pirates went from beating Kentucky early in the season to needing wins over Marquette and Villanova in the Big East Tournament to ensure themselves an at-large berth. Star guard Myles Powell will need help. 11. Ohio State (19-14). Coach Chris Holtmann’s team finished 8-12 in the Big Ten after losing Kaleb Wesson for a few games late in the season. He returned for the league tournament, and Ohio State looked worthy of a bid again. 12. New Mexico State (30-4). The first thing that stands out about its stat sheet is that nobody stands out. The Aggies rotate several players and get contributions from all of them. Coach Chris Jans has the program rolling, and New Mexico State appeared to be peaking during a dominant run in the Western Athletic Conference Tournament. 13. Northeastern (23-10). Coach Bill Coen’s team has the OK to shoot from just about anywhere on the floor, and the strategy has worked as the Huskies are back in the field for the first time since 2015. They must play better defense to have a chance to win a game. 14. Georgia State (24-9). 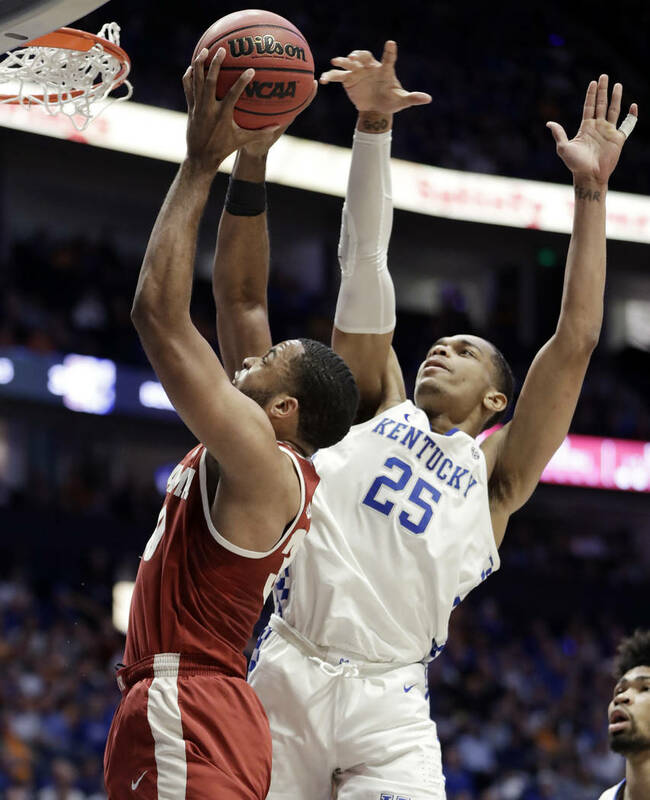 Coach Ron Hunter has his team in the field again, largely because of the contributions of standout guard D’Marcus Simonds. All five starters score in double figures. 15. Abilene Christian (27-6). 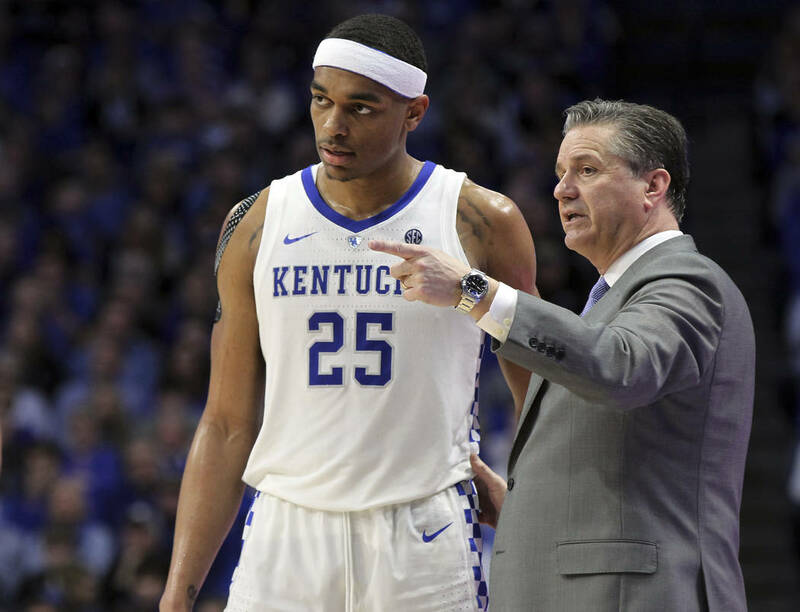 The Wildcats moved up to Division I five years ago and are in the tournament in large part because of a senior class led by forward Jaren Lewis. Coach Joe Golding has done great work to put them in this position. 16. Iona (17-15). Coach Tim Cluess found a way to get here again, but he’s 0-5 in the tournament. The Gaels started 2-9 but have won 10 straight. Rickey McGill does a little bit of everything for a team with plenty of shooters. Fletcher Magee, Wofford: Magee never has met a 3-pointer he didn’t like, even when he’s not squared up. He runs off so many screens that he’s often still on the move in the wrong direction as he enters his motion. 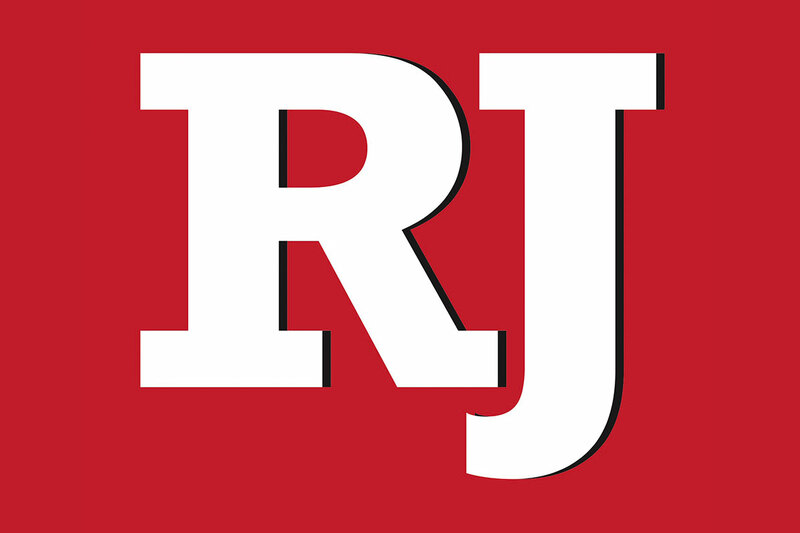 It’s as close to Jimmer Fredette as college basketball has seen since he left Brigham Young, but Magee’s idol is former Duke star J.J. Redick. Bryce Brown, Auburn: There are few things more frightening to a defense than the helpless feeling of watching Brown get hot from the outside. Coach Bruce Pearl gives the Tigers a lot of freedom, but when Brown is feeling it, he’s liable to shoot from anywhere on the floor. Marial Shayok, Iowa State: He’s the Cyclones’ best player and has tournament experience. He played in eight NCAA games with Virginia, including one against Iowa State, before transferring to Ames. Matisse Thybulle, Washington: Thybulle is the only player in college basketball this season who ranks in the top 50 in steals (first, 3.55 per game) and blocks (18th, 2.32 per game). He’s the first player in 20 years with 100 steals and 70 blocks in the same season. 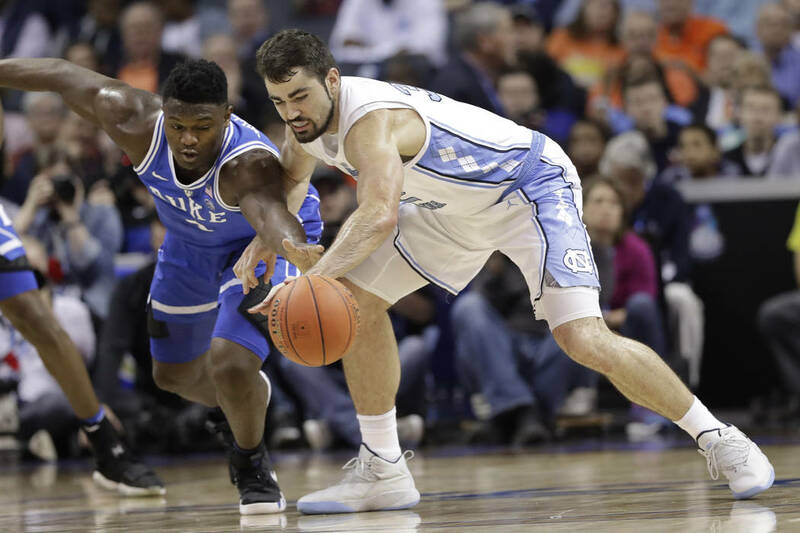 North Carolina vs. Kentucky, Elite Eight: It’s always fun when two of the elite programs renew their rivalry, and that was the case when the two met in Chicago and the Wildcats emerged victorious. It’s the two prior meetings that have fans drooling for a rematch, though. 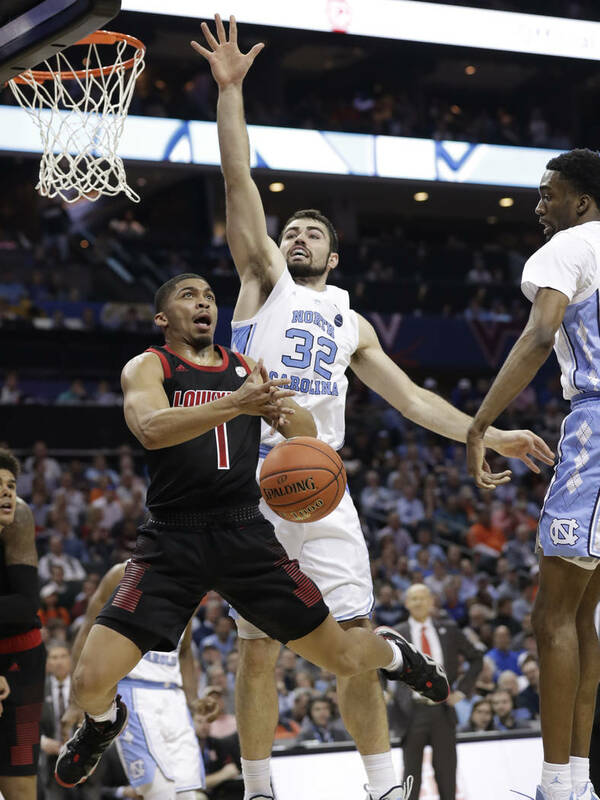 Kentucky won a 103-100 thriller at T-Mobile Arena in December 2016 before the Tar Heels exacted revenge in the 2017 tournament. North Carolina leads the series 24-16. Washington vs. Auburn, Sweet 16: A long shot to happen, but it could answer the question about whether a team can shoot its opponent out of a zone. The Huskies employ that zone defense Hopkins brought from Syracuse, and the Tigers have no fear from the outside. 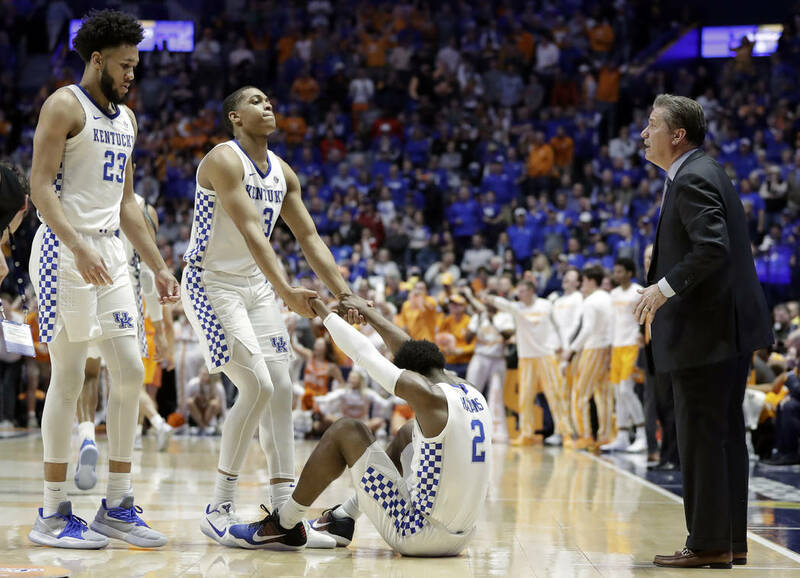 Kentucky vs. Seton Hall, round of 32: The teams met in the regular season and exchanged 3-pointers in the final 1.1 seconds to force overtime when Kentucky’s Keldon Johnson hit a half-court buzzer beater. The Pirates won the game in overtime, but the Wildcats had a better season. New Mexico State: Chris Jans has his team playing well, and they meet Auburn in the first round. The Tigers are good, sometimes great, but they rely on the outside shot. If Auburn struggles on 3-point attempts, the upset could happen. Georgia State: Ron Hunter knows what it takes to have tournament success. He should be pleased about drawing a Houston team that is flawed despite its impressive record. He’s undoubtedly even more excited to have a star player in D’Marcus Simonds. 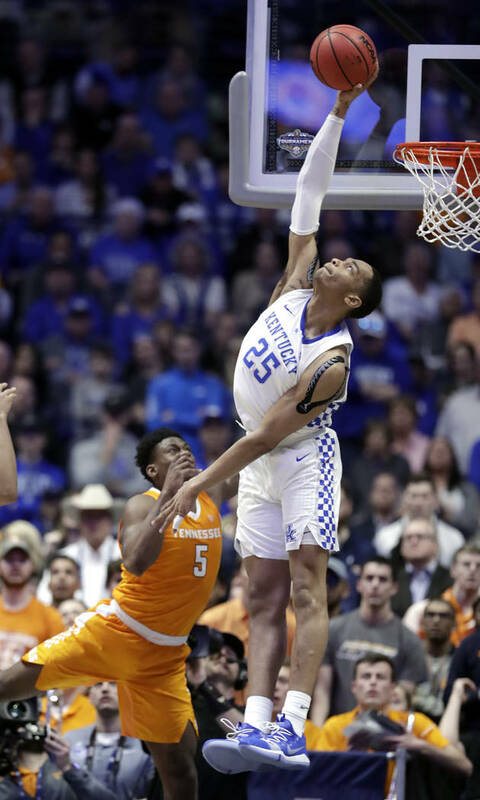 Kentucky: The Wildcats let a late lead slip away against Tennessee in the SEC semifinals, but have been showing steady improvement all season. 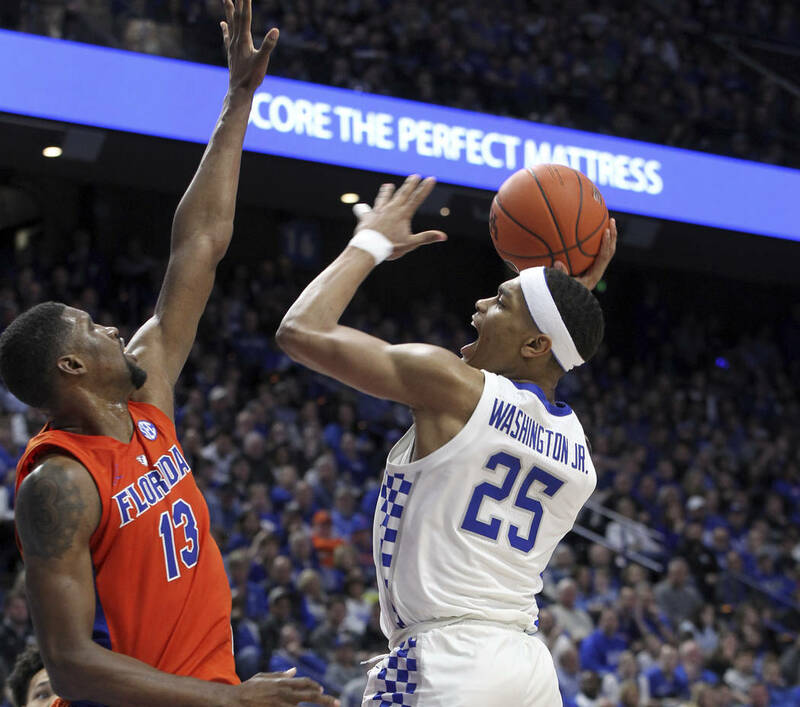 Kentucky has the talent to make a sustained run.